The Queen received the First Minister of Wales for a private audience at Buckingham Palace. A lovely chance to see the larger Nizam Rose Brooch in action, but this wasn't the sparkliest event of the day. 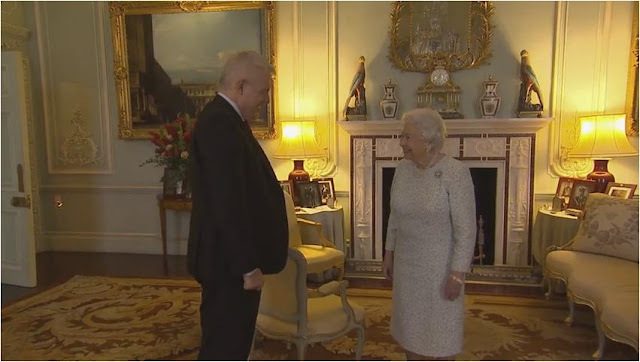 Carwyn Jones @fmwales was received by The Queen today. December 6: The Queen had a pre-Christmas lunch with her staff at the Goring Hotel. Her Maj added the Pearl Trefoil Brooch to her pink suit for this festive event (and an unexpectedly lively event, too: the party was interrupted by a drunk intruder). You can see her leaving the hotel here.